Your computer is slow when editing with Pinnacle Studio ? Have you never been subjected to this problem... Slow editing with Studio ? After release of Pinnacle Studio 17, and two patches, a third patch is available. Pinnacle recommends installing the update for all users. 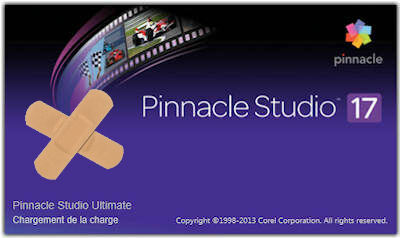 It concerns Pinnacle Studio 17, Pinnacle Studio 17 plus as well as Pinnacle Studio 17 ultimate. The download for the patch is free for all users who already bought Pinnacle Studio 17. What About Reversing a Transition with Hollywood FX? Both in Hollywood FX and in Studio, they talk about a reverse transition. But what are they referring to in this option? This article was initially published in... 2008 ! Those who do not know what I'm talking about will be able to get acquainted with this wonderful tool. Studio 17 or Studio 16: Go through Rainbow Colours with Chroma Key ! We are starting 2014 with a wonderful tutorial of Le Papy !